The PE2950 Rail Ear Kit is used in installations where some type of obstruction prevents the Dell Rails from being properly installed. The PE2950 Rail Ear Kit replaces the rotating assembly on the end of the Dell Rails with a simple bracket. 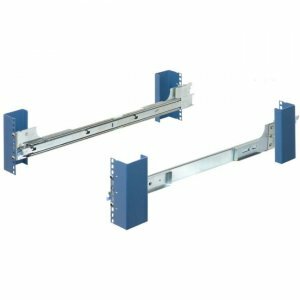 This bracket is compatible with both square and round hole Server Racks.